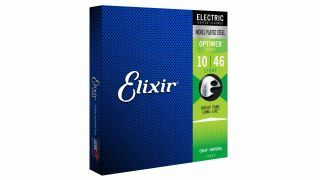 NAMM 2017: The coated string experts at Elixir have announced the latest addition to the company's line of electric guitar strings, OPTIWEB. The lightweight OPTIWEB coating promises to provide long-lasting tone while sounding indistinguishable from uncoated strings. OPTIWEB coating aims to protect strings from the elements for a longer tone life, but also allows them to vibrate with less damping, to retain a crisp tone with a natural feel. Elixir electric strings with OPTIWEB Coating are available in Super Light (9-42), Custom Light (9-46), Light (10-46), Light/Heavy (10-52), and Medium (11-49) gauge sets for £11.95. Head over to Elixir Strings to compare the sounds of different coatings.